Professional photographers do more than take pictures: they use their training and experience to consistently capture those once-in-a-lifetime moments. If you’ve ever used a professional photographer, you understand that. 2. What’s your background and credentials? What professional photographic associations do you belong to? Are you a certified professional photographer (CPP)? 3. Can you provide references and may I see your portfolio? What made you decide to hire this photographer? Did the photographer capture the mood of your event in his or her photos? Did the photographer give you photos that met your expectations? How did you find this particular photographer? 4. What is your photographic style? A photographer’s style is reflected in their portfolio and asking them to shoot a radically different style is a recipe for disaster. Look for images that you can see yourself in. Tell the photographer why you’re having images created and the story you want your photographs to tell. 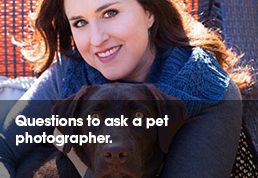 Think of three words that describe you and share those with your photographer. You’re counting on their knowledge of art, lighting, posing and more to create images that fit your vision. The more comfortable you are with the person behind the camera, the more comfortable you’ll be in front of it, allowing your photographer to capture more authentic, intimate and emotional images. 5. How many events like this do you photograph in a year? 6. Do you have an assistant and what does she/he do? How about a second photographer (for larger events)? An assistant’s job is to ensure that every shoot runs smoothly. He or she helps create a list of “must-haves” so that you don’t have to think about what comes next. It is their job to prepare and check the set or location and make sure all equipment is available, clean and working. 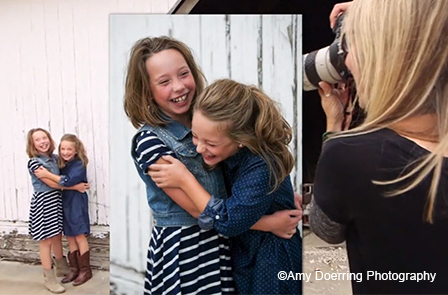 An assistant can also help with poses, change lenses, hold a reflector to create the best possible light and even keep children entertained during photo sessions. Having a second photographer means you’ll get twice as many photos and get those fun, unpredictable shots that the main photographer doesn’t have time to get. A second photographer may also see something the main photographer missed. 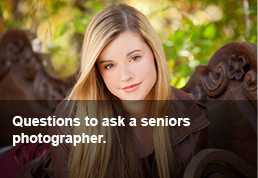 He or she can also continue to take fabulous shoots if the main photographer has equipment problems. 7. What does your fee include and what’s the delivery timeline? You’ll want to understand what you’re getting for your money: how much time, how many images, album types, the format for delivering proofs, what’s included in your package. How much editing can be done? How long after your session will you have to wait to see something? How much time will you have to order after you see the proofs? Will you get images that you can quickly share on social media? Seriously, ask all these questions, because you would not believe how often people assume that they are getting something and end up in an icky situation because the expectations were mismatched. 8. 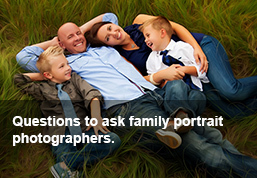 Do you have a backup photographer? It’s your big day. The sky is clear, everything is on schedule, and then your photographer gets in an accident or doesn’t show up for any reason. You’ve spent months planning your wedding and now this once-in-a-lifetime moment may be gone forever because your photographer’s pickle is putting you in an even worse situation. What do you do? If you’ve hired a pro, he or she will have a list of trusted and experienced colleagues they will call to ensure your photo expectations are met regardless and that your event is photographed properly. That’s why it’s so important to ask prospective photographers what their backup plan is in case “something happens”. Better yet, if the photographer is a PPA member, he or she will quickly find another talented photographer for your event. 9. Do you have backup equipment? While it may be cheaper to hire someone who does this on the side or a family member, you risk not getting any guarantee of the quality of images and risk losing your day or event forever should their equipment fail. Because memory cards do fail. Lenses do break and batteries do, unfortunately die. All at the wrong time! A professional photographer will always show up early with one or two backup cameras, lenses or flashes and additional lighting equipment. Well-connected and experienced PPA photographers will always have contingency plans and backup equipment. Most of the time, things actually do happen in the background that photographers handle without anyone noticing, things like camera swaps, flash changes and extra lights. 10. Do you require a written contract? A contract protects both you and the photographer and it’s a must have for larger events. It should spell out the expectations of you and the photographer so that everyone knows what to expect. How will the photographer ensure your satisfaction, what are their backup plans in the event they’re late or called away by an emergency? What happens if there’s equipment failure or some other unforeseen issue? While it is common practice for smaller photography projects to take place without the signature of a contract, it should be your first big red flag for a larger event like a wedding or bar mitzvah.